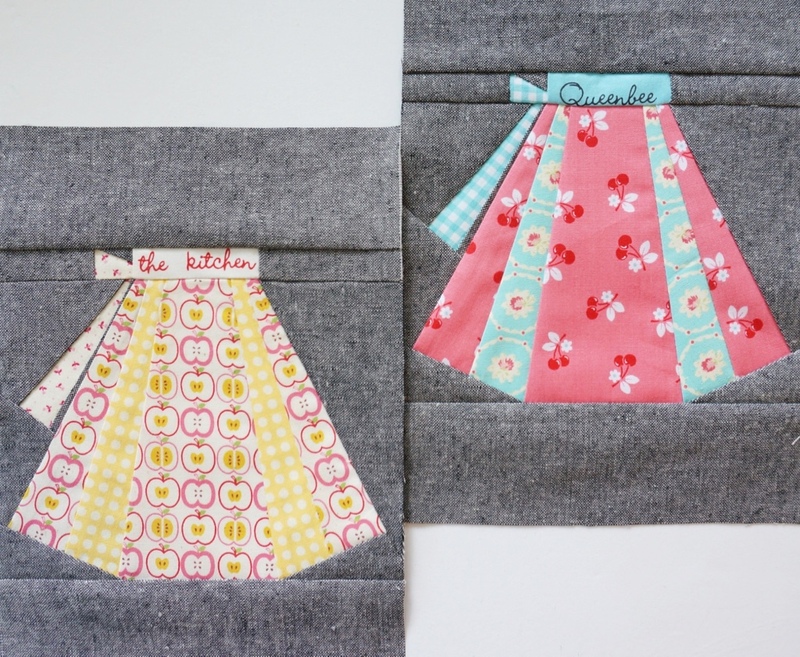 Charise Creates: Vintage Apron Pouch in "Super Cute Paper Piecing"
Vintage Apron Pouch in "Super Cute Paper Piecing"
The Vintage Apron Pouch is one of my favorite projects in my new book "Super Cute Paper Piecing." 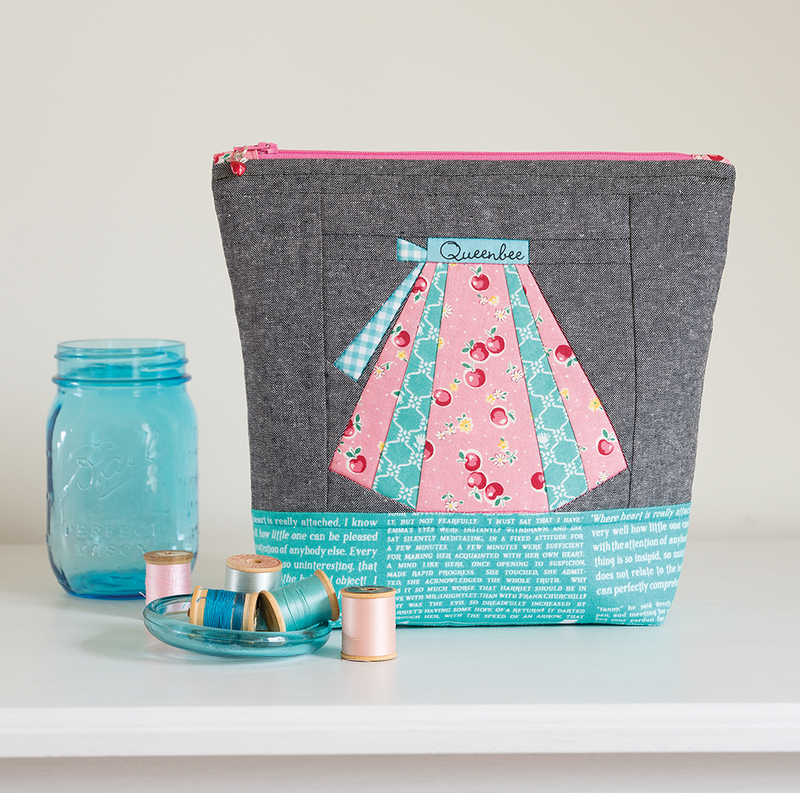 It is a perfect size to transport small sewing projects and also great for a larger make-up or toiletries bag. The front top panel is about 6 1/2" wide x 9 1/2" tall so most of the paper pieced blocks in the book would fit perfectly on this fun zipper pouch! A fun way to personalize your pouch is to add a zipper pull. This apple zipper pull was found at a local jewelry supply store. 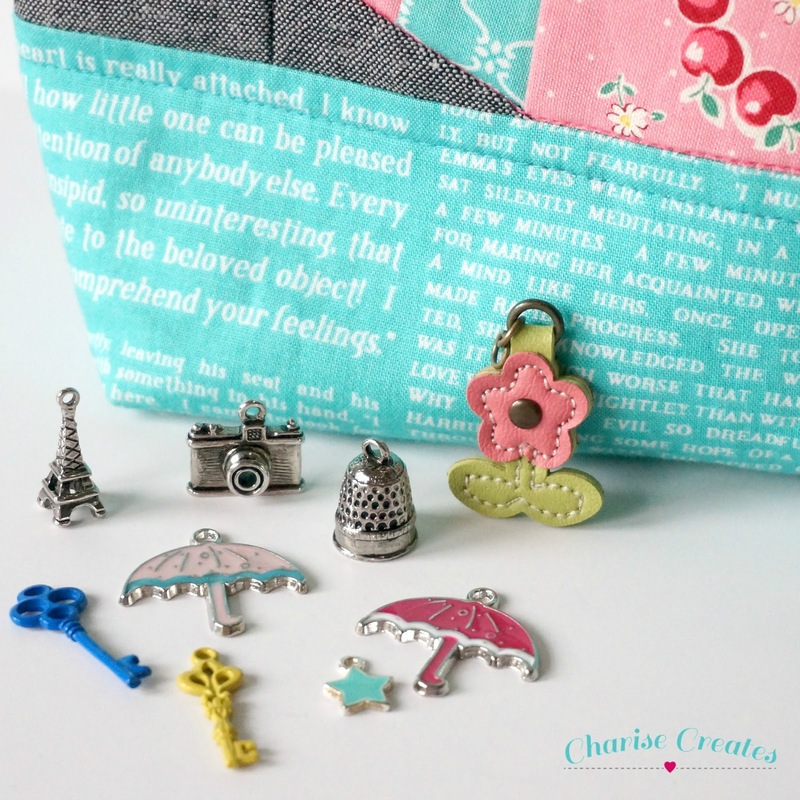 Michael's and Joann Fabrics have a nice selection of charms and zipper pulls that can be purchased online. 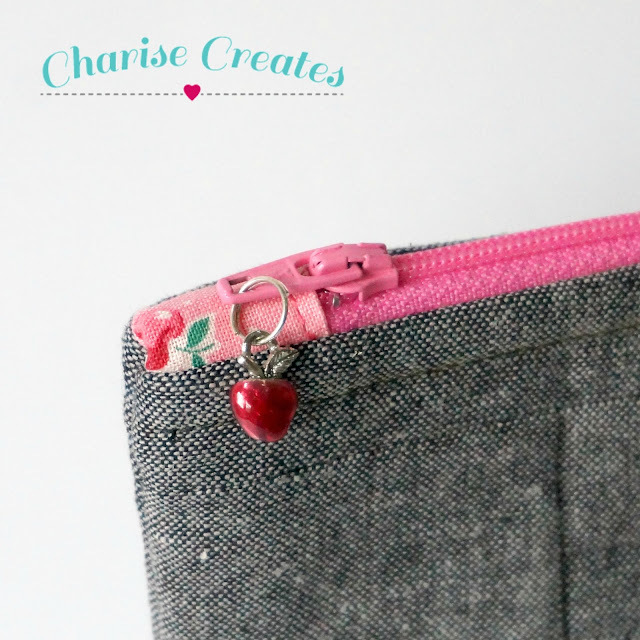 Just type in "charms" or "zipper pulls" and you will be amazed at the selection! I've loved that apron since you first showed it. I love to check what's on sale at Joann's, in the charm department. I come home with great ones, for the next purse, etc. More Super Cute Paper Piecing!